Saudi Arabia is preparing to open its stock markets to foreign investment, and it has reinforced its financial management team in preparation for this and broader economic reforms. Saudi Arabia, the world's largest oil exporter, is in a state of change. The country is opening its doors—for the first time allowing foreign investors to participate in the Saudi stock market. Plus, the country plans to permit foreign airlines to fly domestic routes as air travel demand grows. It has put a new economic and financial team in place to manage these and other envisioned economic reforms. And in the coming year it will make use of a record budget to increase spending in various sectors. Fahad Al-Mubarak, a US-educated former chairman and managing director of Morgan Stanley Saudi Arabia, was appointed in December as governor of the central bank, the Saudi Arabian Monetary Agency (SAMA). He replaced Muhammad Al-Jasser, who was named economy and planning minister. Al-Mubarak, who has served as chairman of the Saudi stock exchange, has a PhD in business administration from the University of Houston. As governor of SAMA, he will likely be responsible for monitoring cross-border investment flows as equity markets are opened to foreign investors. 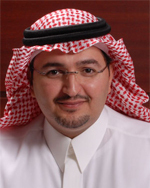 Adeeb Al-Sowailim, CEO of Falcom Financial Services, based in Riyadh, says Saudi Arabia is expected to make a "steady and watchful expansion" of its stock market by allowing direct foreign ownership to large institutional investors who have at least $5 billion under management. Total direct foreign ownership of a particular stock would not be allowed to exceed 20% of the company's issued share capital. "We have been hearing that the Kingdom has been planning this for several years," Al-Sowailim says. "We believe this [anticipated opening to foreigners] is certainly a step in the right direction." The Saudi stock market, known as the Tadawul, in many ways is the most attractive market in the region, Al-Sowailim says. With this move the exchange will be even more attractive for sophisticated investors, such as asset management companies, he adds. "We have seen a growing interest in our two ETFs [exchange-traded funds], which were launched two years ago in line with the national agenda to ensure that investors have the right investment vehicles when the market opens up," Al-Sowailim says. The proposed limit on foreign shareholders would allow each to hold a maximum of 5% of a stock's issued share capital—in addition to the 20% total foreign ownership restriction. Retail investors now dominate the market. "This change will bring in the institutional investors, who would have a deeper interest in research and fundamentals," Al-Sowailim says. 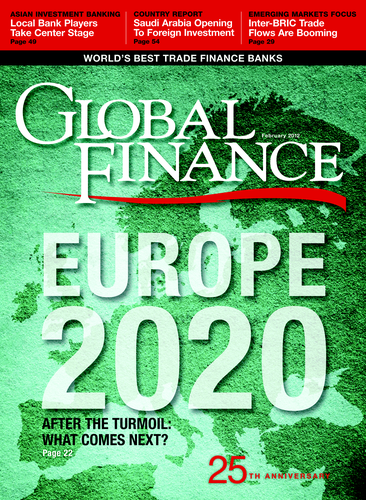 "We believe the timing is right, as there is money sitting on the sidelines, both in Europe and the US, waiting for better investment opportunities." Global index providers have begun discussions with the Tadawul in anticipation of the accession of foreign investment. There have been numerous rounds of talks in the past 18 months between the country's Capital Markets Authority and the exchange, although no date has been announced. "If combined with Saudi Arabia joining the major international indexes (Russell, MSCI, Standard & Poor's), the new strategy could potentially trigger a very large inflow of foreign funds," Al-Sowailim says. Since August 2008, Saudi Arabia has allowed foreign investors to buy Saudi shares indirectly through total return swaps from licensed brokers. However, the swaps, which replicate the performance of the underlying securities, do not provide any voting rights. Under the new rules, foreign buyers would be accorded full ownership rights of the underlying shares. In the longer term, this could encourage improvements in corporate governance, thereby helping to support private sector growth, according to a report by the economics department of Riyadh's Samba Financial Group. Saudi Arabia is enjoying the strongest economic growth since 2003, driven by double-digit growth in crude oil output and sizable gains in government spending, according to Samba. The country's oil production has increased to almost 10 million barrels per day, while oil prices have remained high. "The deteriorating external environment is clearly a concern, but in general terms we expect the Saudi private sector to weather any fresh downturn in global economic activity better than most," Samba says. It notes that the bulk of the kingdom's exports head toward East Asia, where growth is expected to hold up pretty well. 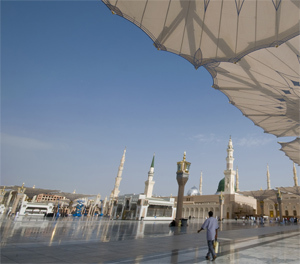 Saudi Arabia's real GDP growth in 2011 was estimated at 7.50%. The building and construction industry, including cement producers, are among the main beneficiaries, as the government moves to ease a housing shortage. The petrochemicals sector, which has access to low-priced inputs, could see its exports crimped in 2012, however, if the global economy slows, as analysts are forecasting. Saudi petrochemical earnings hit an all-time high in the third quarter of 2011—up 66% from the same period a year earlier, according to advisory Jadwa Investment. Despite the weakening of the global economy in the third quarter, there appears to have been little impact on volumes sold, Jadwa says. King Abdullah announced a record budget for 2012, with top priority given to education and manpower. Total spending for 2012 was budgeted at $184 billion, an increase of 19% over the budgeted total for 2011. However, the budgeted spending for this year is estimated to be lower than the actual spending in 2011, which was inflated by an off-budget two-month salary bonus for public workers and additional spending on social programs in the wake of the Arab Spring uprisings in the region. The government also raised the minimum public-sector wage and hired an extra 60,000 staff for the ministry of interior last year. Saudi oil production was raised to compensate for the loss of Libyan output, which is now coming back on stream. Even with lower oil revenues, however, government spending will remain strong, as the need for jobs grows, particularly in the 70% of the population under 30 years of age. Saudi Arabia spent $6 billion last year on foreign-study scholarships for almost 250,000 students and family members, as it seeks to prepare a professional class to play a larger role in running the economy. The government's new labor market policy—the Nitaqat program, which is designed to increase hiring of Saudi nationals—is having unintended consequences. The program is affecting company profits, according to Jadwa. Under the program, companies were required by late November 2011 to achieve a certain level of Saudi-national employment. Building and construction firm Al-Khodari said an increase in labor costs as a result of Nitaqat contributed to a near 50% reduction in profits. Despite the current difficulties in the European Union, King Abdullah called for the formation of a Gulf union in a speech at the annual summit in Riyadh of the Gulf Cooperation Council (GCC) in December. The GCC was formed in 1981 as a security alliance to counter Iran following that country's revolution. "You must realize that our security and stability are threatened and we need to live up to our responsibilities," king Abdullah said. "Our summit opens in the shadow of challenges that require vigilance and a united stance." The king called on Gulf Arab states to "move beyond the stage of cooperation and into the stage of unity in a single entity," although he did not provide details as to how this could be accomplished. Meanwhile, the US finalized a deal on December 29, 2011, to sell $30 billion worth of F-15 fighter jets to Saudi Arabia to help counter Iranian threats. The sale was announced days after Tehran warned it could disrupt tanker traffic through the Strait of Hormuz if the US imposes new sanctions aimed at Iran's oil exports. Saudi Arabia and other Gulf producers said they would provide more oil if Iran tries to block the vital waterway, which handles 20% of global crude supplies.